1 inkwell and 1 ink stick : 4.875 x 2.375 in. 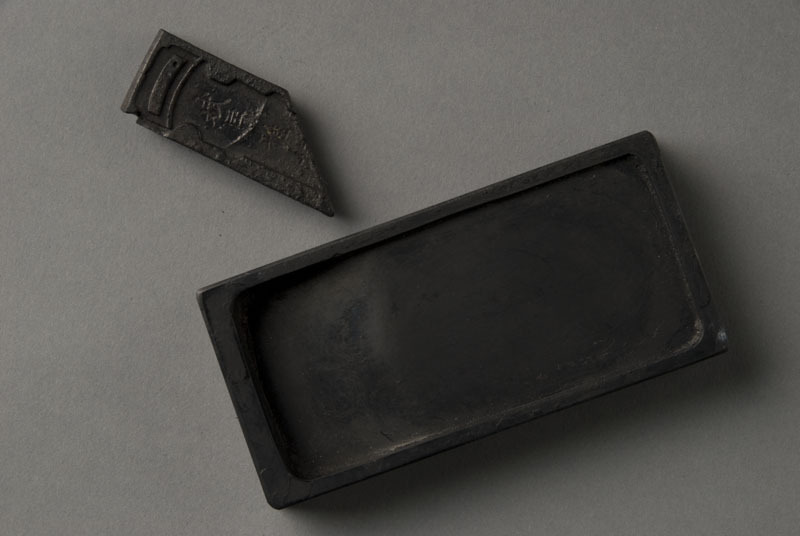 Black stone suzuri (inkwell) with sloping interior and a small stick of sumi (india ink) with Japanese writing on both sides originally housed in a sumi bako box. Ink stick is rectangular but one side has been worn down to a diagonal edge.